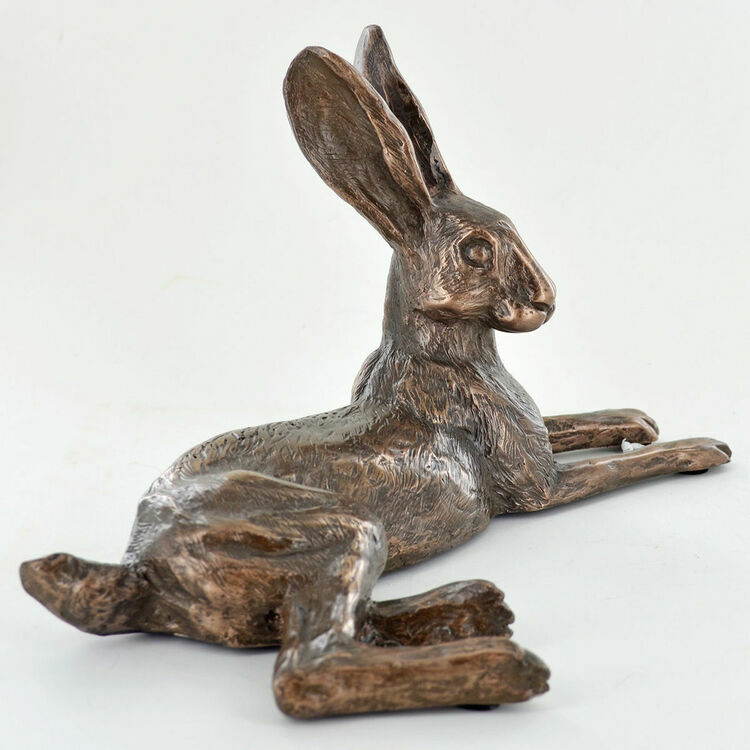 ‘Bluebell Hare’ cold cast bronze hare sculpted by world renowned artist Harriet Glen. 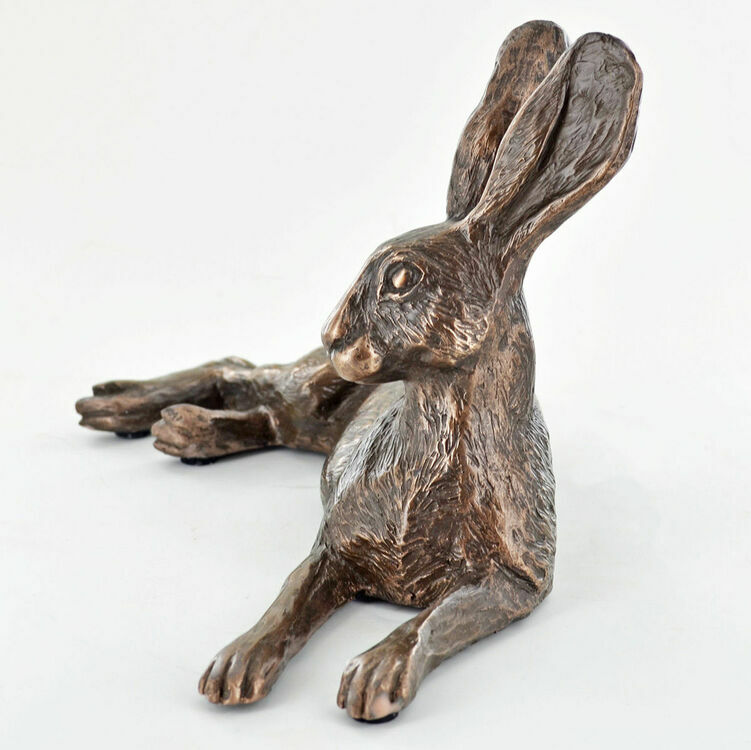 A beautiful sculpture depicting a hare sitting. 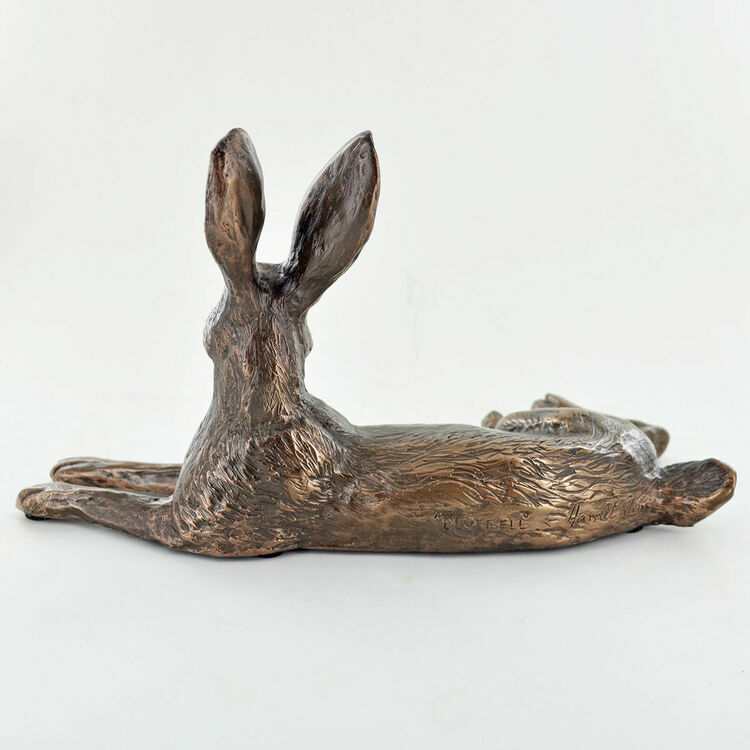 As the title suggests, this sculpture is evocative of the hare reclining in the country meadow amongst the bluebells of late spring, enjoying some hazy sunshine in a rare quiet moment for the energetic creature. 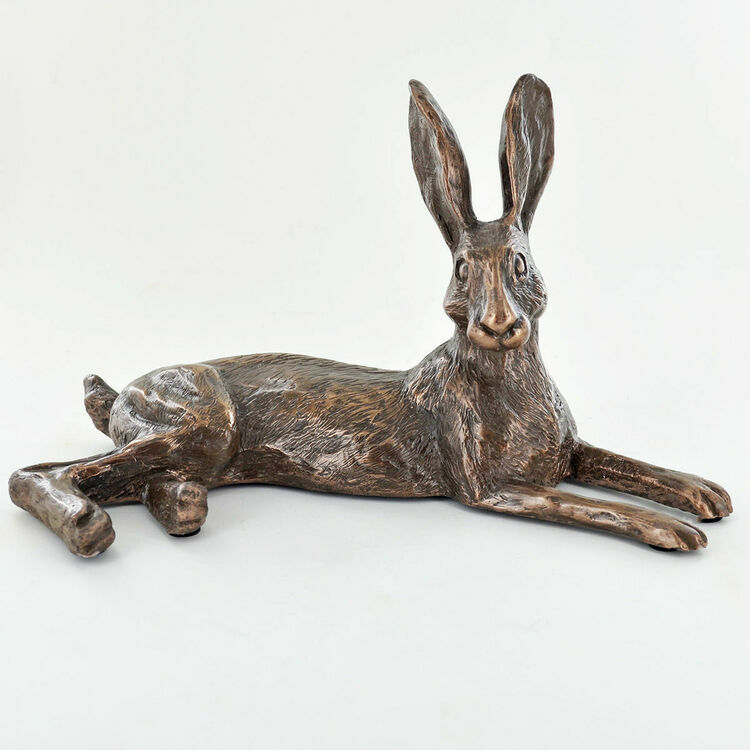 Captured in fantastic detail by the talented artist, to render correct anatomy and indicate the character and mood of the hare within that moment, giving the whole piece a scope that is viviacious, even in inactivity. 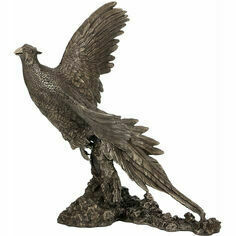 Really pleased with this, it is stunning and very good value for money. 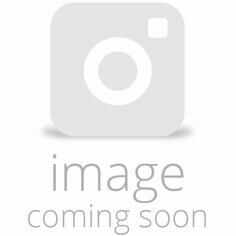 Arrived quickly, well packaged. I'm sure the recipient will love it!